Failure is that horrible experience that we try desperately hard to avoid. In fact most people are so desperate to avoid failure that it prevents them from trying in the first place. Failure is inevitable and happens to all of us. You might not feel it at the time but failure is the best thing that could happen to you. 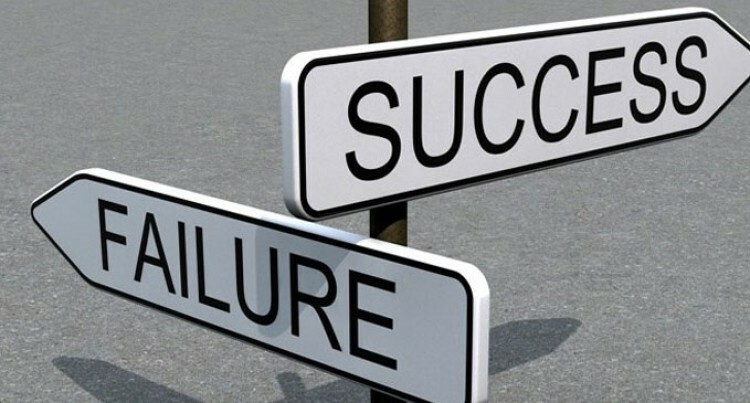 The key is how you deal with failure and here are a few tips. – Failure is by definition your judgement of what has happened in comparison to what you wanted to occur. – This is not a negative occurrence but instead should be seen as a positive one which if approached in the right way can provide you with lessons which will greatly increase the chances of success next time. – It’s only when we define the reality of the present that we are truly able to plan our future. – A lot of people have the initial reaction of responding to failure immediately. – This can be a crucial mistake as in this moment you will be flooded with a range of emotions many of which will be negative so this is not the time to evaluate the situation. – Take a moment walk away and gather your thoughts. – One of the key differences in behaviour between people who succeed and people who fail is the allocation of responsibility of failure. – Many people blame other people, they blame circumstances they even put it down to bad luck but successful people take responsibility for the failure and responsibility for their life and their destiny. – The way back to success starts with defining the reality of your current position. – Gather feedback by talking to people around you and listen to what they say even if it’s not what you want to hear. – Remember how you think you come across may be different to how people perceive you. These perceptions are important and you need to know if they exist. – At the end of the day after you have gathered as much information as possible you have to be your own judge and how close you get to your dreams will be defined by how well you evaluate yourself. – Look at what you did well and what areas you can improve on. I personally use the keep-start-stop model. I look at one thing that I need to keep on doing. – What is the one thing that I need to start doing and the most important thing I need to stop doing. – Failure may seem brief but we can often carry the weight of failure around our necks for a long time. – It’s only when we can put failure behind us that we can look towards success. – Ask yourself what is the weight that’s holding you back and why are you allowing it to slow you down. Be prepared to move on and start focusing on the future. – The most important lesson is also the most difficult one to implement and that is to have the belief in yourself in order to continue your journey and not to give up. – It is difficult because there will be days that you don’t feel right and just want to bury your head and not face the world. – We all have these days but it’s on such days that we gain the most by believing that our dreams are in fact our destiny.